Plasma diagnostics are his speciality: Tony Donné. Tony Donné, head of the Fusion Physics department at Rijnhuizen, has been appointed part-time professor at Eindhoven Technical University. He will investigate fusion plasma diagnostics at the Faculty of Applied Physics, within the sub-faculty of Science and Technology of Nuclear Fusion. After starting his career at Rijnhuizen in 1985, Tony Donné was quickly appointed leader of the diagnostics development for high temperature fusion plasmas. His group developed diagnostics for the Rijnhuizen Tokamak Project and from 1997-2008, Donné was stationed at the German Forschungszentrum Jülich, where he first worked as head of diagnostics and, from 2004 on, was "chef de mission" of the Dutch scientists at Jülich. 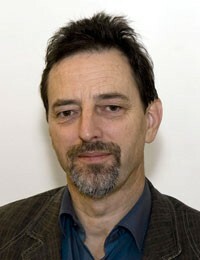 In 2009, he was appointed head of the Fusion Physics department at FOM-Rijnhuizen.